Enjoy, and let me know of any you come across that you think should be featured! I wanted to be able to review this one for you guys for FTF but alas, it was not to be. But it's coming out super soon! Who's planning on picking this one up? I have been wanting to read this one for SO long! The cover is what originally caught my attention then the description, yes please! I was lucky enough to win a copy after entering countless giveaways for it now I hope it arrives soon. I finished this one about a week ago and I was surprised at how good it was and much I enjoyed it. I didn't really think of this as a fairy tale book, but I guess it makes sense, what with the prince and all. I've been coveting this one for a while, and I can't wait to finally read it! Looks SO good. I love this cover. 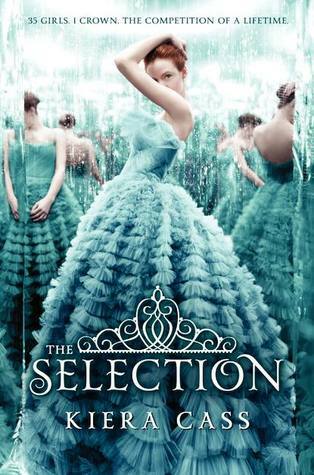 The Selection looks so good! I's on my TBR list and has been for a while. Not only can I not wait (been waiting since the cover was released) but I'm going to the signing which is what she has listed as her release date so I'm hoping for a big deal there!!! I cannot wait. Meeting some other bloggers for the first time too! Win-Win! I'll be bringing back a signed copy for someone to win on my blog.